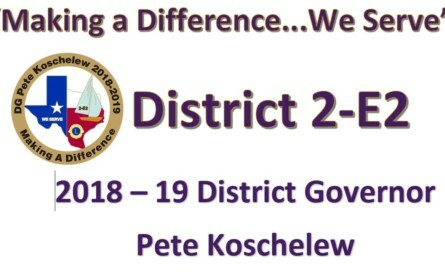 Welcome to Lions District 2-E2! Our District is comprised of 71 clubs in the North Texas Area committed to service in their community Your Lions Club is an all-inclusive organization comprised of dedicated individuals that are concerned about the well-being of their citizens, especially children and those with sight-based challenges. In 1925, Helen Keller challenged the Lions to become “Knights for the Blind.” Ever since that time Lions Clubs worldwide have taken an active leadership role in eye conservation and sight restoration projects. 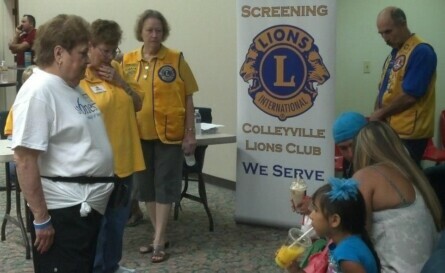 You’ll find your District Lions heavily involved in free eye clinics in most all communities. They work with local school districts and nurses to identify those in need and help deserving kids get glasses and other eye treatments that they need at no cost to their family. Lions are changing the world one community at a time, by addressing needs at home and around the globe. We are 1.4 million men and women who believe that kindness matters. And when we work together, we can achieve bigger goals and make a bigger impact than we can alone. Since its founding nearly four decades ago, LCIF has been committed to helping children and young adults in need all over the world. We reach thousands of youth everyday through a number of programs that help them enjoy their childhood and grow into successful adults. 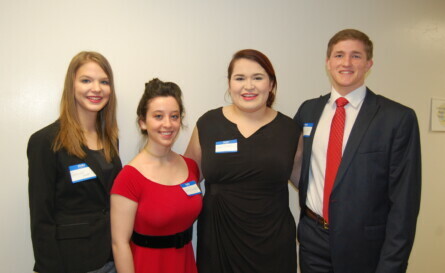 Individual Clubs in District 2-E2 hold Essay and Speech Contests for Scholarships. Winner go to District 2-E2 and compete and the District gives 5 scholarships each year. The winner goes on to State competition and winners also get scholarships. This years 2016-17 Winners. Above all, Lions in your community are there to serve. You’ll see Lions at your community events, at the Fire Station helping out and perhaps at the neighborhood sports games offering refreshments. They take an active role in charity event fundraising for noteworthy causes such as Breast Cancer Awareness and Diabetes Screening. They will be at your local high schools handing out scholarships to worthy students, and at the senior centers, offering companionship and support. Wherever people are in need, Lions will be there, because, We Serve. Learn about our association’s founder, Melvin Jones, and his commitment to the success of Lions Clubs International. This inspiring video looks at the leadership, experience and opportunities available to young people through Leo clubs. Leo clubs provide youth volunteer opportunities, and are also a place to grow and have fun. “Leading for Life” illustrates the Leo spirit of serving others and the important partnership with Lions, leading to a path of lifelong service. Soon you will need only one login to access password protected sites. See below for more details.